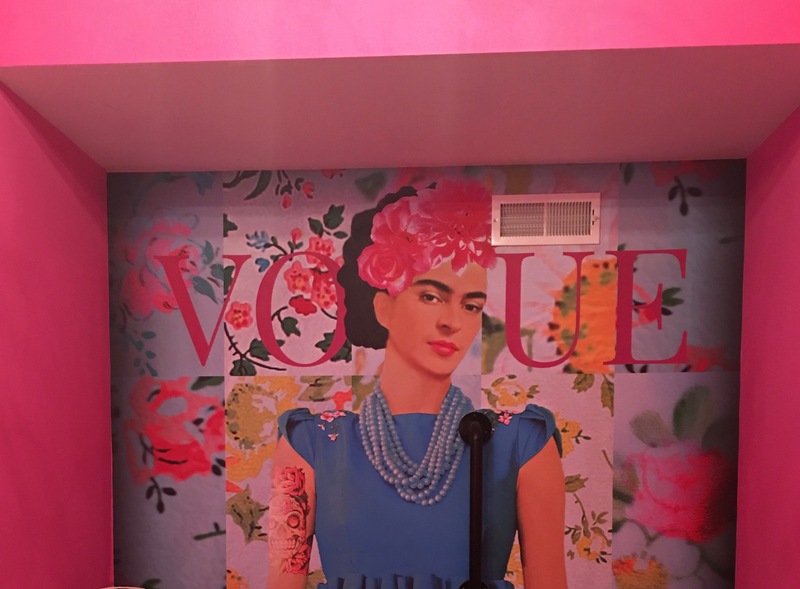 Frida 602 in Covington – Go There. Try That. Frida 602 was my husband’s date night find. 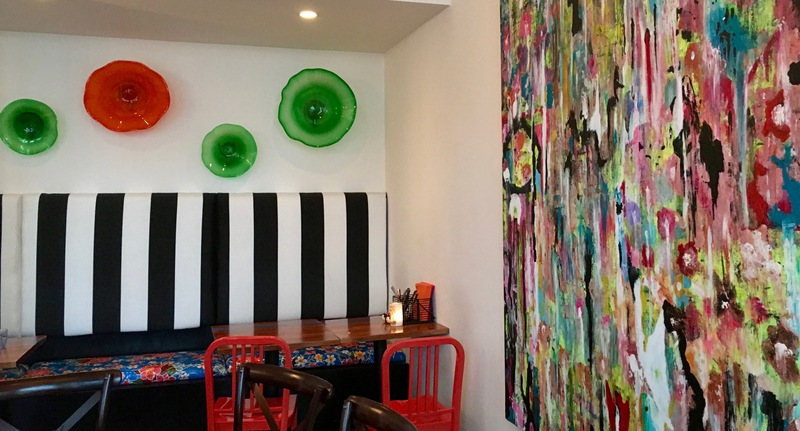 Offering Latin Street Cuisine, Frida 602 is colorful, bright, and full of life. This restaurant is nice without being the slightest bit pretentious. Each room has its own feel, its own art, and its own character. 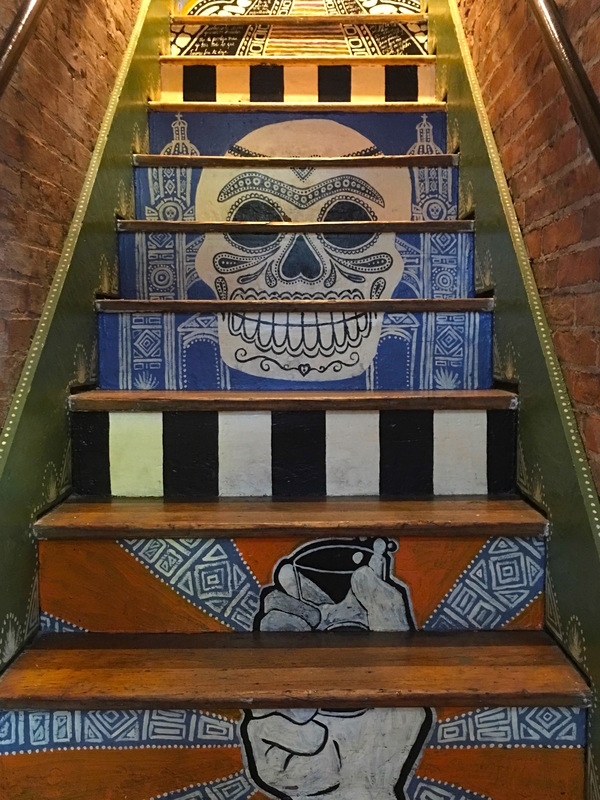 Located in historic Mainstrasse, Frida 602 is also a Tequila and Mezcal bar. Yep, mezcal! Instead of a beer flight, try a mezcal flight! But be safe and eat first! Welcomed by the bar as you step inside. First we have to talk appetizers. 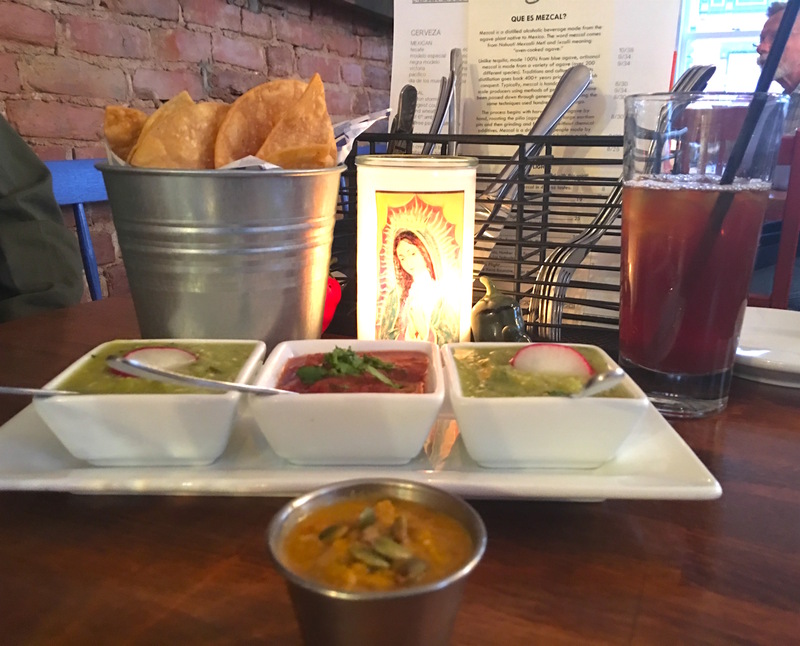 The chips and salsa here are not free; however, the chips are crisp, not greasy, and it’s a great way to sample several different salsas. 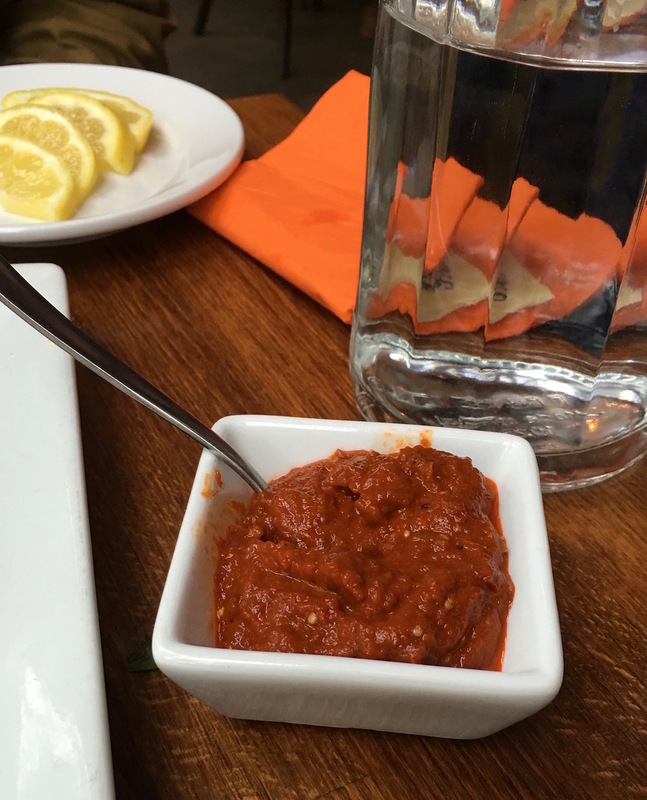 For example, I did not expect to like the smoked peanut salsa, but it’s very mild and smooth. My favorite salsa though would have to be verde! And I’ve been told their queso is out of this world. I am more of a salsa girl than a queso girl, but I need to try it . . . you know, for research! 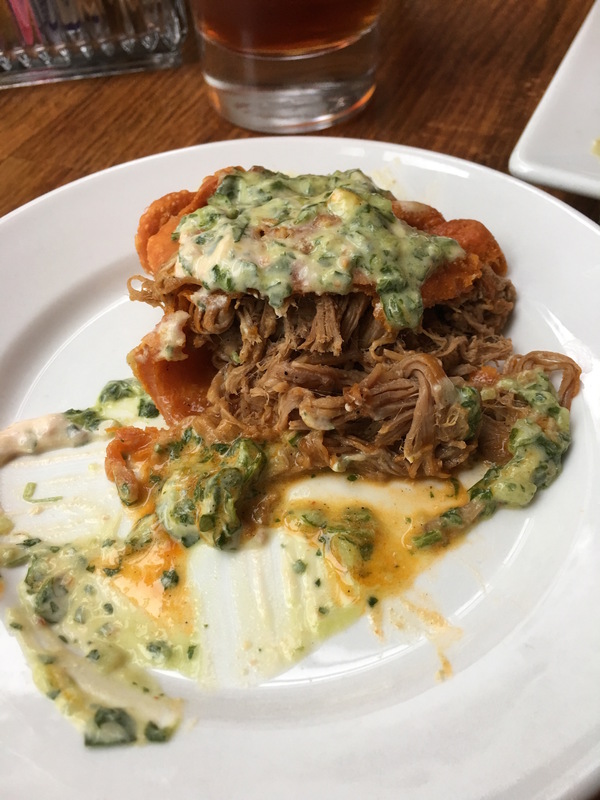 While the chips and salsa are a strong contender, the short-rib empanadas are where it’s at my friends! To sum them up: golden brown, perfect crunch, and tender meat. Then that sauce! 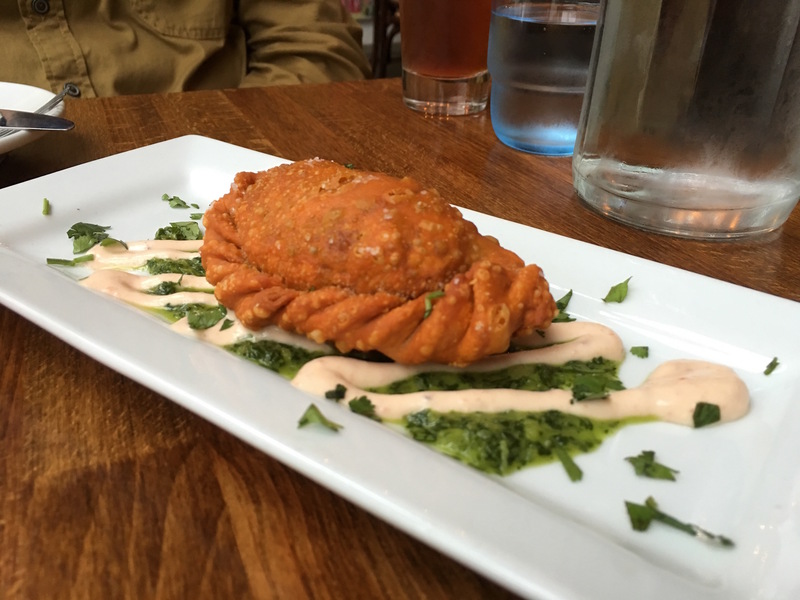 This killer combination of chimmichurri, crema and cilantro makes these empanadas both spicy and refreshing. Next up? Sandwiches. 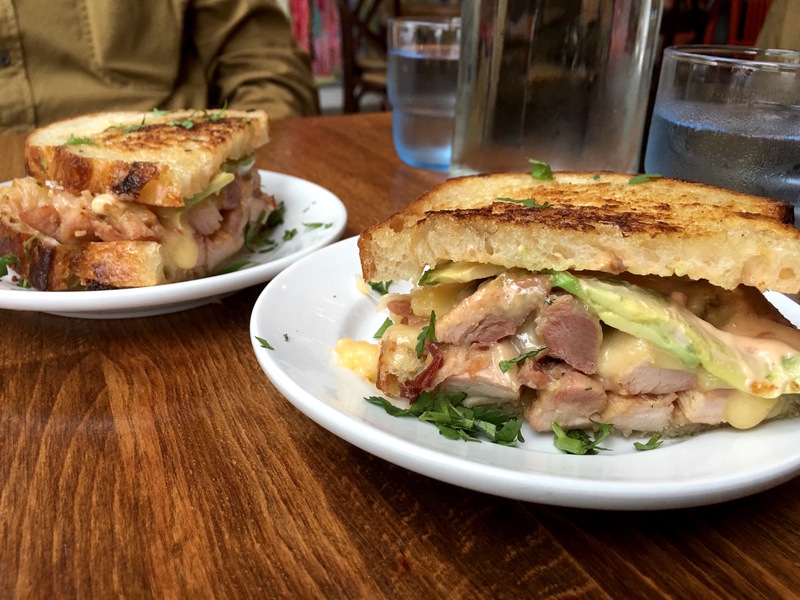 I’m a fan of both the Cubano (smoked ham, carnitas pork, pickle, mustard and swiss) and the Oaxacan chicken (mezcal and lime glazed grilled chicken with avocado, queso fresco, and chipotle mayo). If I have to choose, the award goes to the Oaxacan chicken. 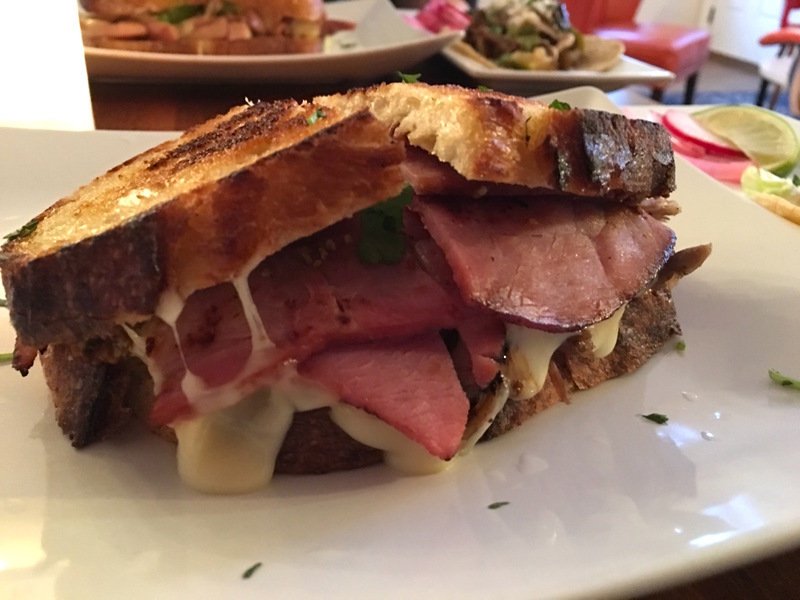 Served on Sixteen Bricks sourdough, this sandwich is toasted and cheesy. And that glazed chicken pushes it over the top. So good! Whichever way you go, keep that napkin close! Everything here is deliciously messy. Sharing? Let the server know; our sandwich came out already split on two separate plates. As I always say, it’s the little things that make an experience special. 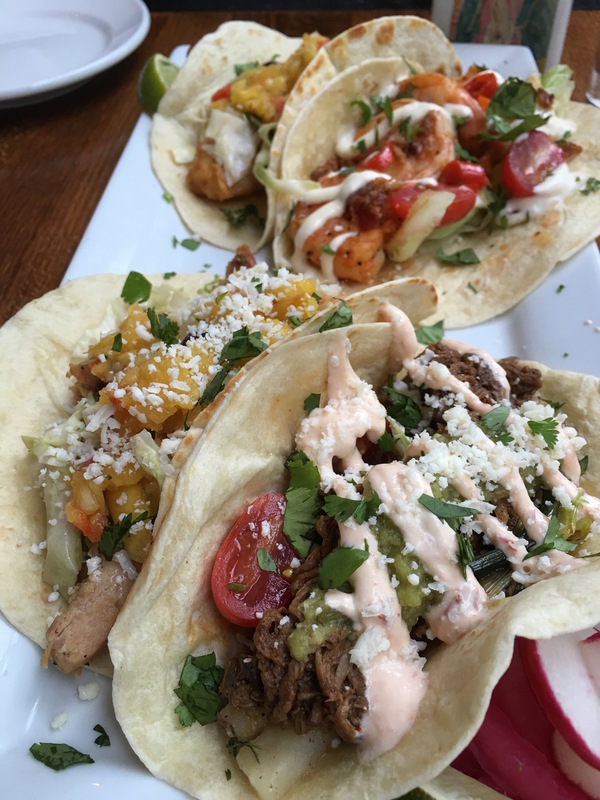 A restaurant featuring Latin street cuisine wouldn’t be complete without tacos. Frida 602 offers six variations. All tacos are served on fresh corn tortillas, but flour, which is my fave, is available upon request. 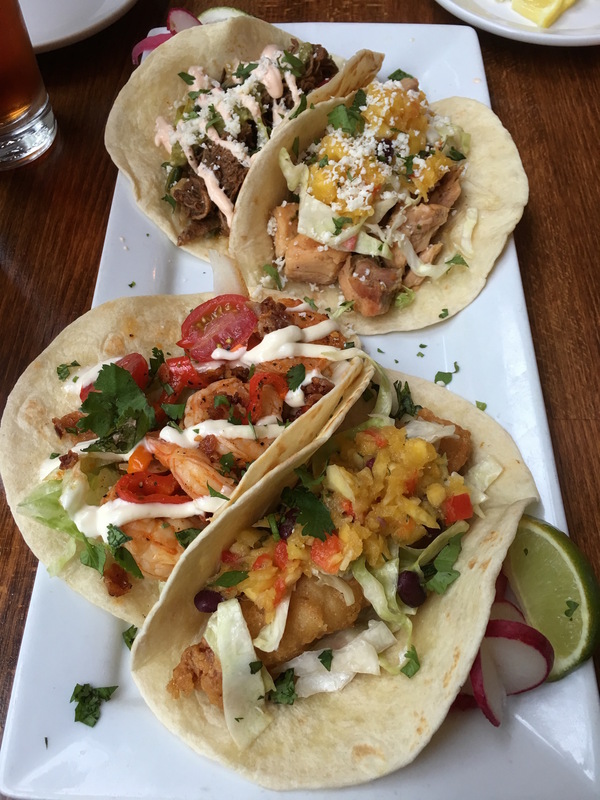 My top taco choices would have to be the Gobernador (seared chile shrimp, bacon, shaved lettuce, blistered tomato, cotija and crema) and the Al Pastor (split roasted pork shoulder and pineapple). Other tacos include braised beef, chicken, fish, and goat; each are dressed differently and pack a punch. Top these tacos with pickled onion and lime . . . excellent! The only taco I haven’t tried is the brussels sprouts. Originally from LA, my husband loved this authentic hot sauce comprised of a verde base, ancho chile peppers, and arbol chile peppers. The texture and taste are spot on! He said it reminded him of his family’s chile recipe. Ask for a side of this for sure. Because we shared all our food, we had room for dessert. (Who am I kidding? I always make room for dessert!) The key lime pie is bright and bold in flavor. 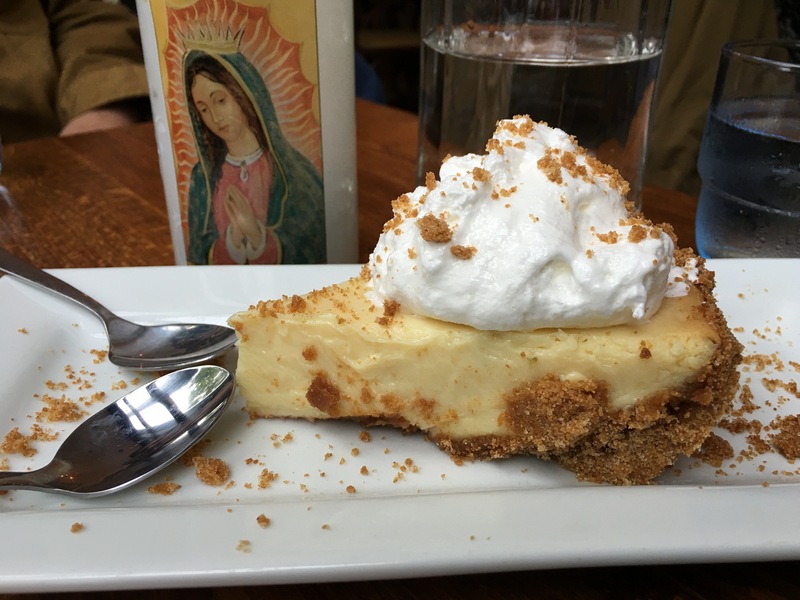 Love the burst of lime, the graham cracker crust, and the homemade whipped cream. At heart though, I’m a chocolate girl. I may stray now and then, but I always come crawling back. Thus, the chocolate torte. It’s rich, decadent, dense, and delicious. Savoring each bite, I had a hard time sharing this one. 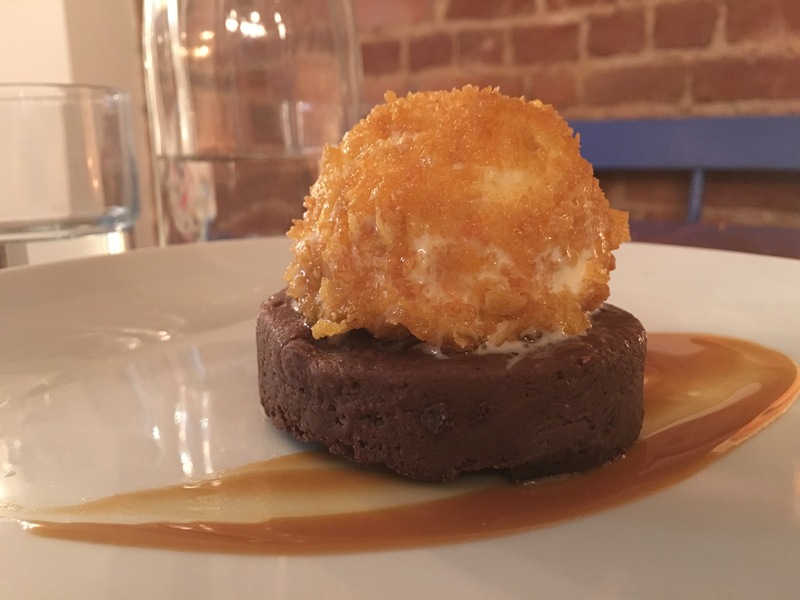 The torte is topped with fried ice cream! Heavenly moments here! As I said before, Frida’s is bright and cozy; in fact, I wish my home looked like this. (Can you paint and decorate my house, please?) I especially love the vibrant colors and the art work adorning the walls. 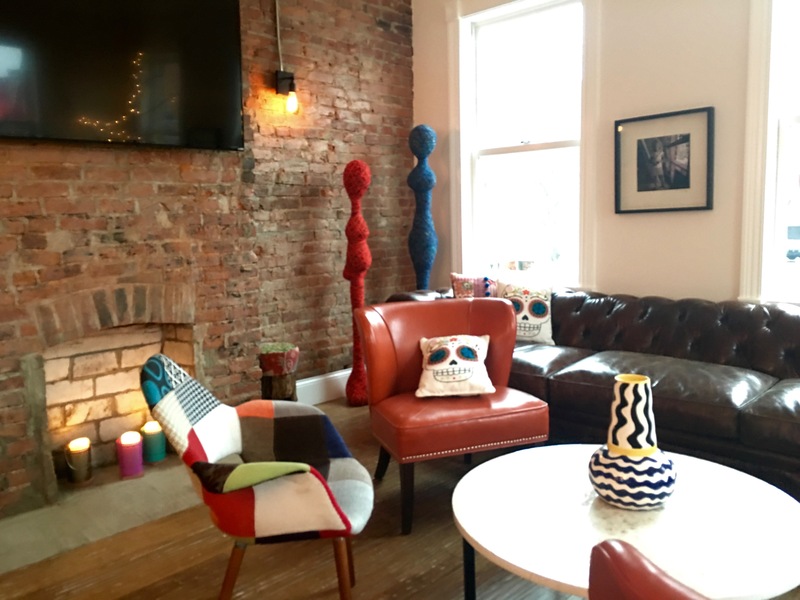 The upstairs offers windows with street views and a cozy couch to relax; downstairs tables provide many street views as well. If it’s nice out, the doors open so guests can sit outside and dine al fresco. Owned by Paul Weckman and Emily Wolff, also owners of Otto’s, Frida 602 features a small, but strong menu! I can’t wait to go back. P.S.- Shout out to Kyle for the wonderful service! GO THERE (Frida 602)! TRY THAT (Empanada, Oaxaca Sandwich, Gobernador Taco, Chocolate Torte, Key Lime Pie)! 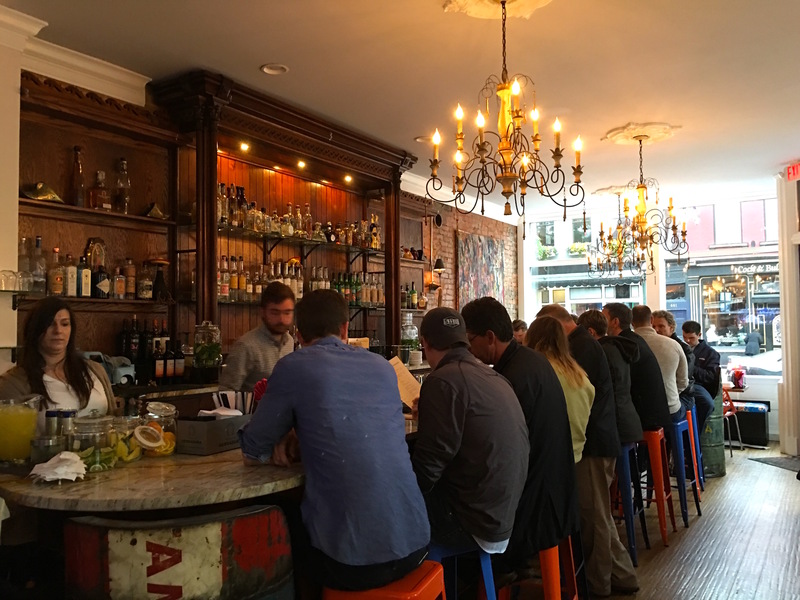 I just tried this place last week – the drinks were terrific! Awesome Tabitha. Did you try the mescal?